If there ever was an ironical situation in the battle between the British canals and railways, this is it! 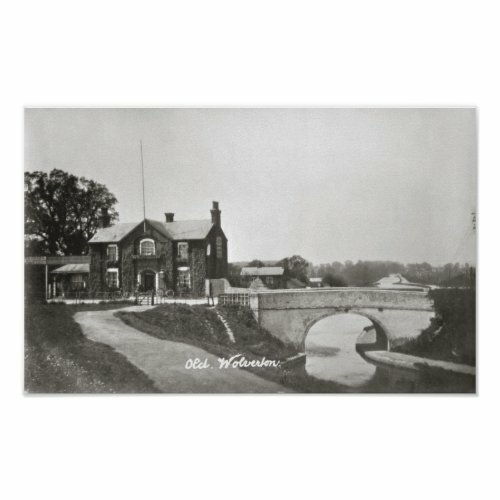 The photo shows the Loco or Locomotive Hotel or Inn (now the Galleon pub) alongside the Grand Union Canal at Old Wolverton, Milton Keynes. The irony of course, is naming a canalside pub, built to serve the working boatmen, after the very thing that caused the demise of the working canal system in the UK. The reason behind it though, was that Wolverton became the centre for repairs to railway engines for the London to Birmingham railway, and although the Hotel was quite a way from the railway, it was actually quite close to the workshops and sidings. It's nice to see the shape of the pub hasn't changed too much. The area has seen considerable change since the building of the city of Milton Keynes, and one canalside and railway casualty, was just down the canal at Wolverton Station. The building has only in the last few years been completely replaced with a modern station, so apart from the canal itself, little remains from this photo. 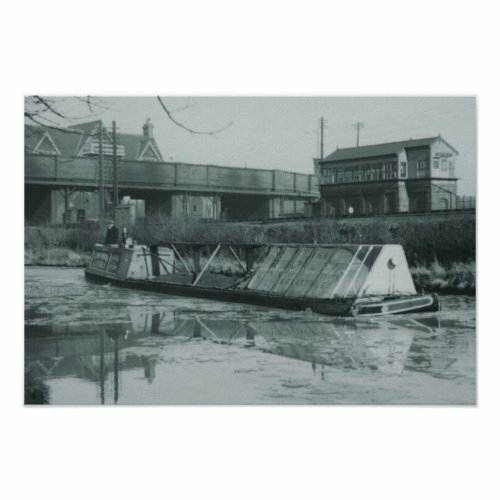 Probably taken around the 1940s at a guess, the Fellows, Morton and Clayton narrowboat Bison carrying a load of coal in winter on the icy canal below the old signal box with the station in the background, possibly on it's way to Croxley Paper Mills.